One of the benefits of having a 2 week old baby at home, is that I can check out the Costco Warehouse savings coupons as soon as they are posted (early in the morning before you all wake up). 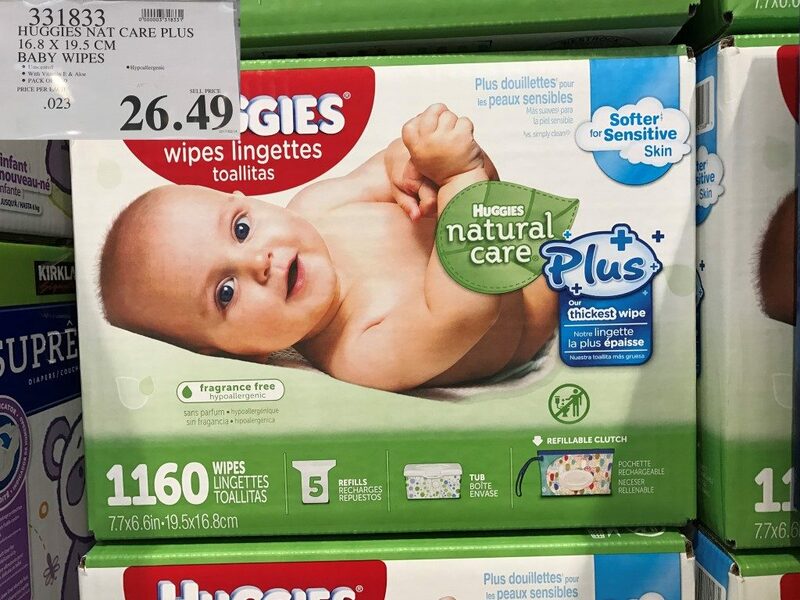 This week Huggies Pull Ups and Huggies Natural Care Wipes are on sale. 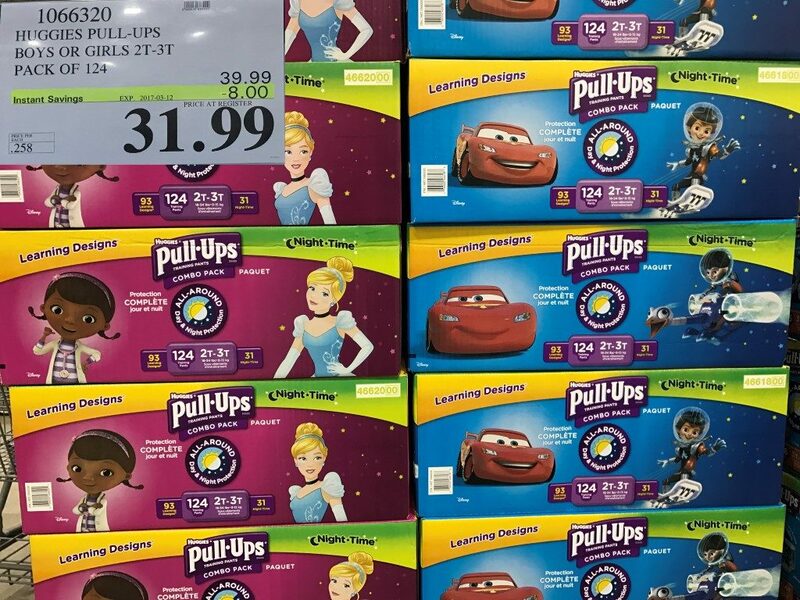 I know a lot of people have toddlers and have been waiting for Huggies to go on sale so I am posting early today, so all you Monday shoppers can help plan! 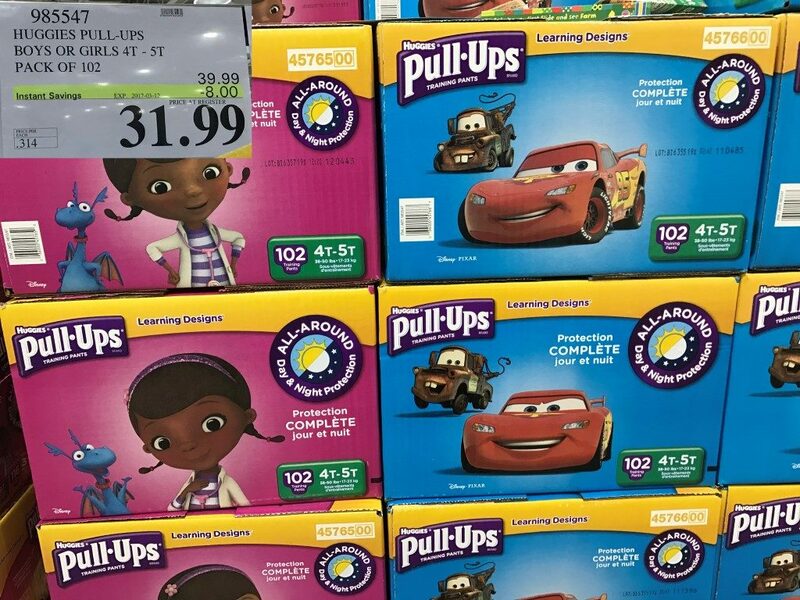 It is a little too early for me to stock up on these, but for those of you with children wearing diapers, Costco has Huggies Pull Ups on sale this week (for one week only) and Huggies Wipes. This is just one of the benefits of checking the sale items every week. I hope you all have a chance to stock up if you haven’t already! Personally I prefer the Kirkland Wipes as I find the Huggies Wipes seem to tear pretty easily leaving behind some messy situations. I don’t expect those wipes or the regular Huggies Diapers to go on sale until at the annual baby sale in March. Enjoy and thx again. A deal is a deal. Really enjoyed your clothing post. 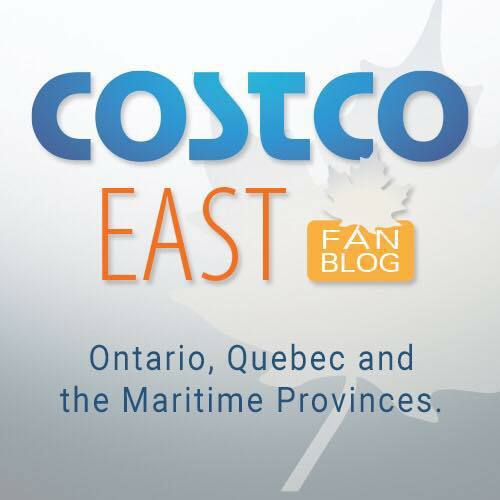 I have been trying to get those vests for years now and as I do not live close to a Costco, I have missed them everytime up til now. Are the cauliflower crust pizzas available in Canada?